I just returned from Addis Ababa. 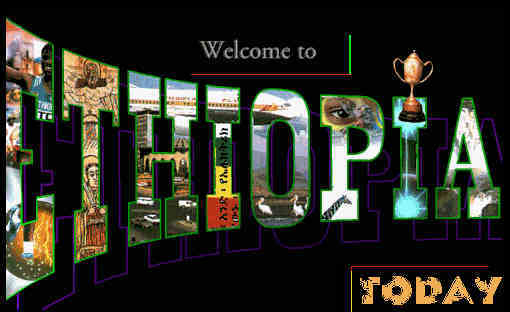 It is a few years since I was last in Ethiopia. Addis has certainly changed. Construction everywhere, a growing middle class, and a sense of purpose and confidence that sustained economic growth can bring (the new 5 year Growth and Transformation Plan sets 11% as a minimum annual growth objective!). I did not have a chance to visit areas outside Addis, but colleagues who live in Ethiopia assure me that this growing prosperity is not confined to Addis, nor to urban areas. I gave a couple of talks while in Addis. The first, hosted by our partners the Ethiopian Development Research Institute (EDRI), and the World Food Programme, explored four questions: (a) how important will agricultural growth be for future economic growth in Ethiopia? (b) will Ethiopia be more like China than India in successfully converting growth into poverty reduction? (c) can the large Productive Safety Net Programme (PSNP) reduce hunger today while also building up entrepreneurial capacity? and (d) what can help the relationship between the State and civil society be strengthened? The powerpoints can be found here. On agriculture, my conclusion was (somewhat obviously) that if productivity could be increased, then agriculture would be a key component of future growth. But growth in productivity of agriculture (still about 40% of the economy) has declined recently and so the answer to the question is by no means clear. Investments in roads, extension, seeds, fertilizer, irrigation and farmer organizations need to be made (and Ethiopia has met the 10% targets set by the African Union), but the challenge, as ever, is to prioritise and sequence investments by agroecological zone. This is a process that involves technical, political and capacity considerations—analogous to the growth diagnostics tools that are available—and must be implemented in an inclusive way that gives farmers meaningful voice if productivity is to increase. On the growth-poverty conversion rates, I noted the mixed picture on Ethiopian poverty rates, depending on the indicators used, that Ethiopia has historically been one of the better African performers in terms of converting growth into poverty, but that any increase in inequality will hamper this conversion rate. Inequality is a key indicator to monitor in the Government’s new Growth and Transformation Plan. On the Productive Safety Net Programme (PSNP), the largest social protection programme in sub-Saharan Africa outside of South Africa, I reviewed the latest published impact evaluations, which show mixed results of impacts on current food security and the ability to develop new non-farm income sources, depending on the intensity of receipt of PSNP resources and the incidence of complementary food security inputs. The attainment of multiple goals of assistance, insurance and transformation that social protection programmes aspire to is difficult in any context, and I think the evaluation experience of the PSNP to date bears this out for Ethiopia. It will be interesting to see the next set of evaluations which I beleive are coming out in the near future. On strengthening the relation between the State and Civil society, I started with the recent Human Rights Watch report which claims that Ethiopia is experiencing development without freedom and claims that Government programmes are systematically allocated according to political allegiances. The empirical studies of the PSNP do not detect such biases if they exist, although earlier studies show some local political and relationship biases on allocation of disaster relief, but when they occur they are small in magnitude. I mentioned the importance of taking advantage of the increasing capture of tax that the Government plans. Work by Mick Moore at IDS and by others has shown that domestic resource mobilization is the income source that most legitimizes the State as it forces a more nuanced debate with civil society about how to spend that money. I also mentioned the potential of social accountability mechanisms in strengthening state-civil society relationships around service delivery. Finally I stressed the need for better data to make the allocation of scarce PSNP resources more transparent and less open to interpretation. The second talk was to the DFID Ethiopia team on the role of bilateral aid agencies in the changing external environment. No-one outside DFID senior management knows the outcomes of the bilateral aid review, but in the context of a rising overall DFID budget it would be surprising if the DFID Ethiopia budget declined, and so the timing was good for a discussion of what a bilateral agency should and should not take on. I noted some trends in the external environment, the donor attributes that would be rewarded in such an environment, and made some reckless guesses about whether multilaterals or bilaterals were better set up to deliver these attributes. My talk was titled “Bi or Multi? Lateral thinking in development cooperation”. Of course I concluded that both broad modalities were important, but that the most important feature of new development cooperation would not be around the prefix to lateral, but around "lateral" itself. Lateral in the sense of thinking laterally to form relationships with (a) other donor government departments (e.g. climate, trade, security, migration, narcotics enforcement) (b) with actors that do not label themselves as “development” but are vital to economic and social progress (e.g. business enterprises, security forces, diplomatic corps, religious organisations, social movements), (c) with other actors in the region, and (d) with the emerging donors around the world (e.g. Brazil, China, Russia, South Korea, India). The powerpoints are here. In general, I was hugely impressed with the 4 State Ministers I met (disclosure—two of them are IDS alumni) during the trip. They were dynamic, knowledgeable, thoughtful and in a continual learning mode. There are reasons to worry about Ethiopia’s rapid growth. Will it lead to overheating? Will it lead to unacceptable levels of environmental degradation? Will it reduce poverty? Will it increase inequality? Will it enhance or constrain freedoms? But I got the sense that these challenges were on the radar screen of these policy makers and that they felt confident that they could be managed. It would be good to see more stories in the Western media that explore these issues to give us a better balance between Ethiopia’s humanitarian needs and its numerous home grown successes. I was surprised to read your relatively upbeat Ethiopia report. You know far more than I do, and thus my surprise may simply be the product of [out-dated] received wisdom. But given your past emphasis on the connections between human rights and development, I wondered if it is right to attach such comparatively little weight to the HRW report? I also wondered what you made of the Oakland Institute report [see below]? I cannot dare to write my full name for the fear of reprisal and you are implying that the human rights situation in Ethiopia is not as bad as the HRW portrays. I would humbly ask the author of this article to do more investigation into the human rights-development nexus in Ethiopia. I respect your observation but in general it is not constructive when western-based scholars make vast conclusions based on a few days visit. How do Southern NGOs Rate Northern NGOs?